Interpersonal Communication came to being when men began to exchange ideas and thoughts to one another. Interpersonal Communication is a kind of communication in which people communicate their feeling, ideas, emotions and information face to face to each other. It can be in verbal or non-verbal form. Interpersonal communication is not only about what is said and what is received but also about how it is said, how the body language used, and what was the facial expression. In simple words the communication between two people is referred as Interpersonal communication. It is one of the basic means of communication. The Interpersonal communication skills can be improved by practice, Knowledge and feedback. The Interpersonal Communication takes place when two people are at same place and aware of each other’s presence, no matter how unintentional or unpremeditated it is. It may not be in the form of speech, it may be a gesture, an expression, the dress, or the body. The essential factor is there should be a message and it should be send by the sender and it should be received by the receiver. The communicators refer to the sender and the receiver. The sender is the person who sends the message and receiver is the person who receives the message. 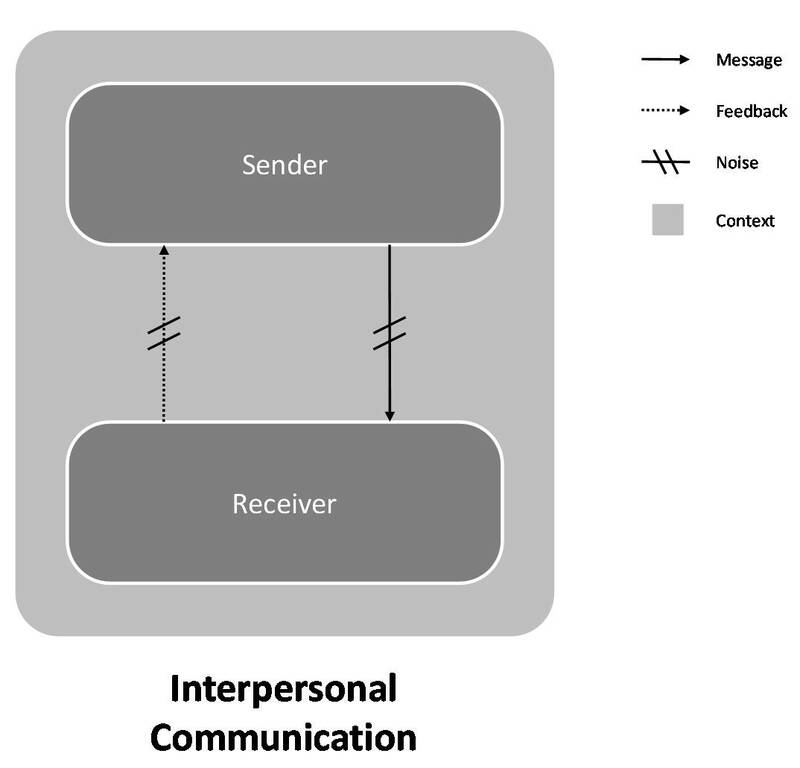 For the occurrence of Interpersonal communication there should be at least two individuals, one to send the message and other to receive the message. It is the idea conveyed through speech, facial expression, body language, tone of voice, gestures and other verbal and non-verbal means. The non-verbal means have the ability to bear additional information such as the persons attitude and interests. Feedback is the respond of the receiver, it comprises the message he sends back. Feedback enables the sender to know how accurately the message is being received and how it is being interpreted. The feedback includes respond for the intentional as well as unintentional message. The feedback can be even in the form of a gesture. How the message is being interpreted is mostly depend on the context he receives the message. The process of communication is influenced by the context it occurs. The emotional climate and expectations of the people, the place of occurrence, and social, political cultural and environmental conditions comprise context. Channel is the means through which communication happen. The message is sent and received through the channel. It is also referred as the medium through which message transmitted. The speech and vision are the channels in a face to face communication whereas the cable or electromagnetic waves in a communication through telephone. Joe texts Rachel “I am throwing a party tonight, please come” when they were in class and Rachel replied texting “I am in”. Sam was driving his car in 100 miles per hour, cop followed him, blows the siren but Sam was listening to music so he couldn’t hear. Then cop drove closer blows the siren, this time Sam listened and stopped his car. Channel – Speaker through which siren blows. communication model has gone wider in scope from just the sender, receiver, channel, noise and feedback. The scope is now broad that it covers more scopes. The context of communication is the emotional feeling, climate conditions, location e.t.c. which has made the model of communication lucid and less esoteric. Communication as we know is the process of encoding and deciphering of information. In other words, it is the creation of shared meaning either from a sender to a receiver or vise -versa. according to the axioms of communication, you cannot not communicate, that is what gave route to the emergency of interpersonal and intra personal communication. Interpersonal communication is a communication between persons i.e. two people. it is one of the easiest form of communication which has affotiori existing for aeons and this genre of communication also oezile health communication which also can be done via interpersonal communication. Thanks, this information give me a context about this topic!